Hmm. Perhaps the combadge analyzes eye movement and focusing, so that if you are blankly staring into space it considers your verbal communication as intended for the combadge, and should it detect otherwise it immediately shuts itself off. 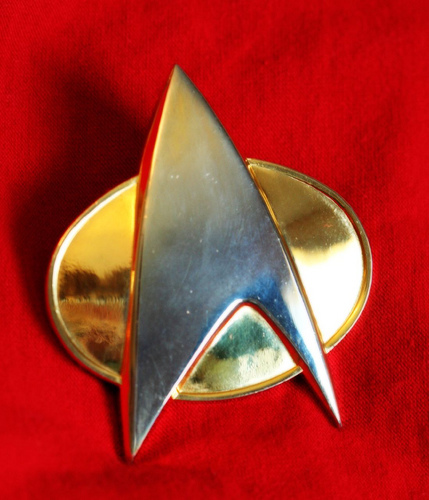 1) There are subtle variations on tone and cadence when people talk to their combadge, and Starfleet tech is advanced enough to very reliably track this. 2) There are in-universe psychics – it is usually against Starfleet Ethics to integrate this into their technology too much, but they’ve decided that the technological implementation of psychic powers in the combadge is just harmless and very convenient. 3) Nothing fancy – the operator at the other side (whoever is being called) just shuts down the call once it becomes apparent they are no longer being addressed. This is just to deny your last point – how do we know there are never accidental snippets transmitted? I don’t think the first option would work, if only because frequently combadge conversations are switched in much the same way. E.g. 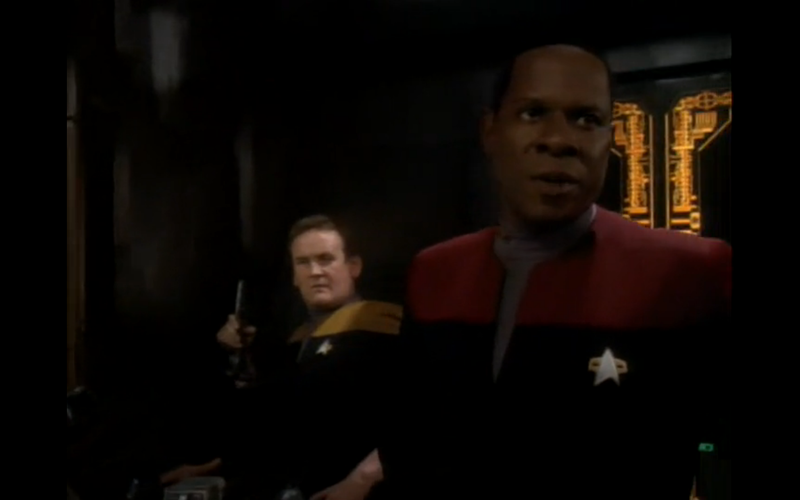 a captain will go from talking to engineering on the combadge to then talking to sick bay on the combadge without clearly acknowledging this switch with an order or a tap of the badge. Plus I genuinely don’t think there’s enough auditory information for even Federation technology to analyse. I like the third option, however. In order to maintain willing suspension of disbelief I tend to think of TV shows like this as documenting (but not representing with 100% accuracy) ‘real’ events (a possible world, if you like). Hence I tend to ascribe things like this to limitations in presentation; aspects that are ‘edited out’ for the purposes of good presentation rather than elements of the ‘actual’ events. Hence it could be that in the ‘real’ Trek universe there really are accidental snippets transmitted, or that people do make explicit their transitions. Only that would make for tedious TV, so that aspect is taken out. Yeah I like the second paragraph. One of the things I am going to discuss in the post on Naturalistic Sci Fi is the way the BSG writers consciously tried to present elements of it like a documentary. For instance, when showing shots of ships flying around the fleet, they tried to film it as if there was another ship with a camera following those ships. It’s a cool way to think about sci fi programmes.